DuraDry Protection System is a recent entrant in the antiperspirants targeting hyperhidrosis community. This post is a review of DuraDry Protection System based on my personal experience of using the products for about 3 weeks now. In full transparency, the review sample was provided to me free of charge by DuraDry. However, as with all my reviews, this review is an unbiased summary of my experience with the product and is not influenced by whether the sample was free or if I paid for it. 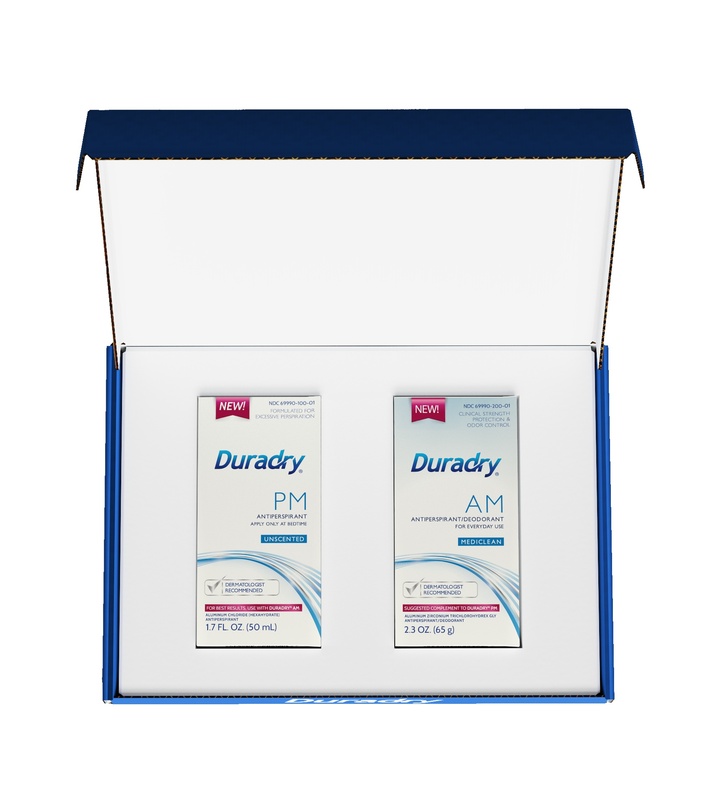 As of now, DuraDry has two products – DuraDry AM and DuraDry PM. 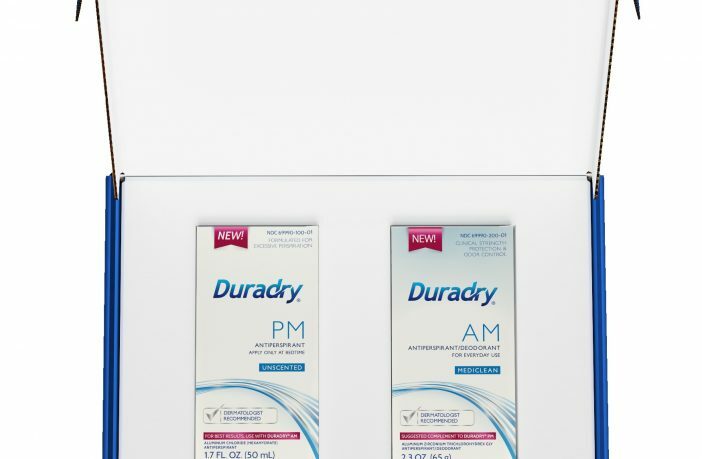 As the names imply, DuraDry AM is a meant to be applied during daytime and is a Deodorant+Antiperspirant while DuraDry PM is only an antiperspirant meant for overnight application. Both of these are sold separately, as well as a single package “DurDry Protection System”. If you are impatient, here is the gist. Read further down for more details. DuraDry does what it claims to do – make my underarms dry, and keep them dry. It is expensive – at a retail price of $39.95 for about 200 applications of DuraDry PM. Compare that with equally effective DriClor ($17 for 75ml). However, it lasts for long time (3-4 months or more), so the incremental cost is not much if it works for you. Unconditional money back guarantee for 100 days. I did not personally tried that, but I like that they are willing to stand behind their product. Actually I received the product quite some while back, but never found time to sit down for a review. In the meanwhile, though, DuraDry was my primary antiperspirant and thus in an unintended manner, my review is based on quite thorough testing of over 3 months. I used DuraDry antiperspirant as the only antiperspirant for those three months. Just like an average user, I did not strictly adhere to DuraDry's recommendation… so in that sense, my review is likely more representative of what you could expect. The primary ingredient in DuraDry PM is 15% Aluminum Chloride (Hexahydrate) – the standard active material used in most antiperspirants today. The primary ingredient in DuraDry AM is 20% Aluminium Zirconium Trichlorohydrex which is getting increasingly popular as well as it is better tolerated and does not cause acne or discomfort unlike Aluminium Chloride. The first thing I noticed is that just a few applications of DuraDry AM I started seeing significant reducing in underarm sweat and unlike other antiperspirants, I did not feel any itching or discomfort in the region. After initial few days of application, my underarms were dry even if I went without application for 2-3 days at which point the sweat started to leak back. DuraDry AM also smells nice and I wont mind using it as my primary deodorant. The effect was consistent throughout and did not diminish over time as my body got used to it. After a week or two, I also tried DuraDry PM (which is not the recommended way, BTW!). Ideally you should apply DurDry PM during the nights and AM in the morning for maximum impact. Anyways, DuraDry PM further increased the effectiveness of the antiperspirant and after a few days of applications, I could go without any antiperspirant for as much as one full week! DuraDry PM, like DuraDry AM was comfortable to apply and did not itch as much as some other antiperspirants I have tried. The pack lasts quite long while. At my application levels, the DuraDry PM will last me upwards of 6 months and DuraDry AM will probably last about 3-4 months. On a per day basis, the cost comes out to be highly reasonable if it helps me keep the underarms dry. 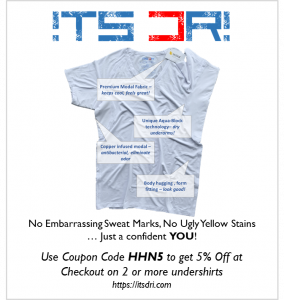 Bottom line – I think DuraDry is highly effective for underarm sweat. It comes with risk free trial – try it. 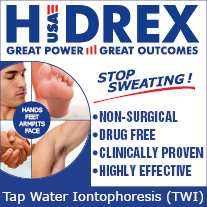 If it works, this may become your primary underarm sweat management product at reasonable cost. If it does not, just return it. I do wish it was a bit cheaper – $49 is quite steep to pay for an antiperspirant!